Daylight saving is still a nuisance…not to mention just plain wrong. How so many continue to be suckered in by a supposed need for it is beyond my comprehension. 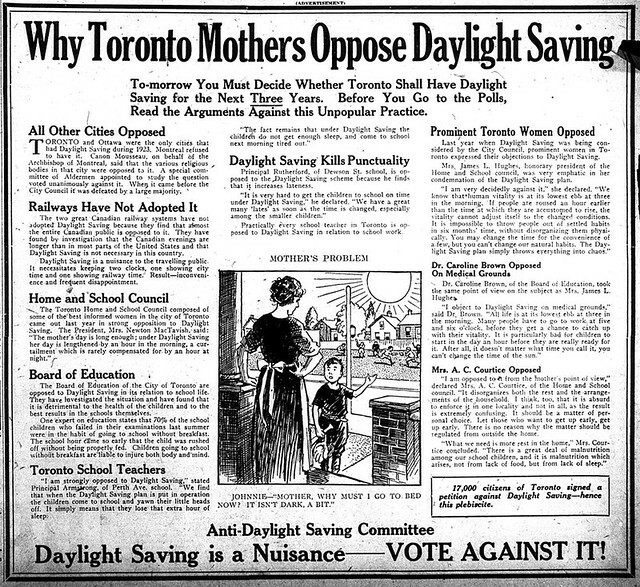 Posted in 1920s, History, Politics, Retro/VintageTagged 1923, Canada, daylight saving time, TorontoBookmark the permalink.